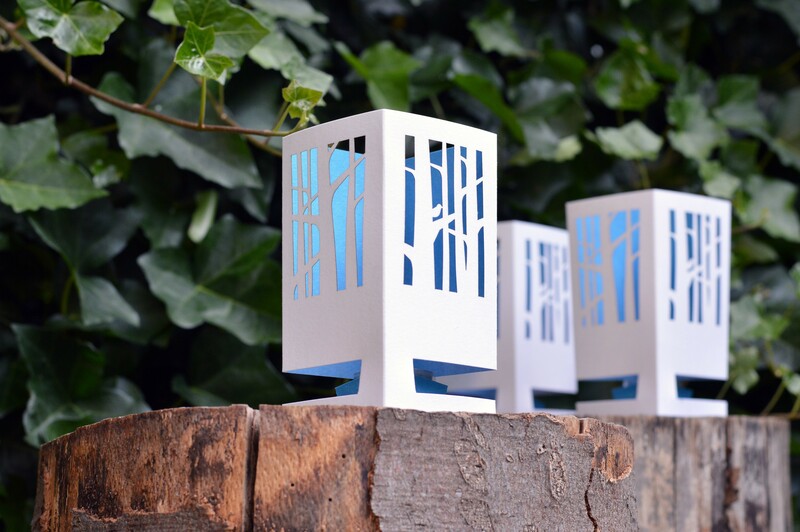 The blue Cardles Woodland Paradise series includes cutout cards of tree trunks with green, transparent foil. 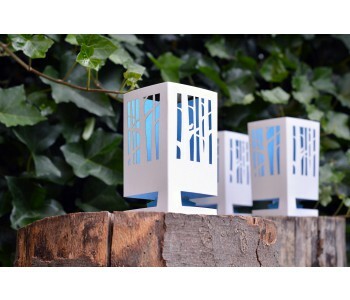 With a burning tealight, these lanterns create a mysterious blue light. The Cardles in the Woodland Paradise series also come in the colors pink and green.